Sia Elfa Mēbeles is the official representative of the Elfa group in the Baltic States. 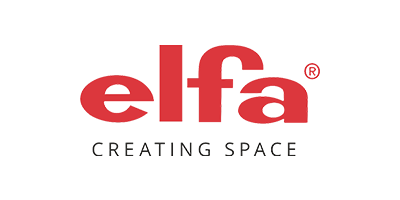 We have been supplying Elfa® products since 2005 and for more than 10 years we have been delighting our customers with reliable and beautiful products. Our company carries out wholesale deliveries throughout the Baltics, works with design studios (designing wardrobe rooms), architects and developers companies. The mission of Elfa® is to improve the quality of life of people through creative organization of space. We help our customers to make more free space, and less domestic problems! We work because we love what we do. We want to make customers' dreams come true when everything in the house is comfortable, when you can enjoy life to the fullest. Because we love to equip the lives of our customers in the best possible way. Because we love helping people choose something special that will delight the rest of their lives and will be inherited by children. What can be changed and supplemented to suit your needs and characteristics at any time. What you can take with you if you need to move. What is done as well as possible, from the heart. The fact that the most modern, fashionable, beautiful, unique and thoughtful today. We love when the lives of our customers get better with us. We remember everyone and give gifts. We are not an online store and in our activity we are guided by an individual approach to each client! We offer modern Scandinavian furniture for a wardrobe, bedroom, living room, children's room, kitchen, corridor, bathroom, garage, garden and sports. Leave an application for a free consultation or catalog on the site. Elfa is a leading wardrobe manufacturer that includes cabinets, mesh baskets, sliding doors and shelves. Our clothes storage systems will help to clean up your house, increasing the space, and environmentally friendly materials will create additional comfort and coziness. Elfa is an elaborate storage system, thanks to which you can enjoy the quality, convenience, practicality and beauty of your room. Elfa® is the ancestor of all flexible and durable storage mesh systems and has been sold on all continents of the world for over 60 years. Thanks to our long experience, continuous product development and a sense of order, we have created stable, durable and flexible storage solutions from the very best materials. elfa® helps to free up additional space by creating a neat and beautiful view in any room. The elfa® storage system can be installed almost anywhere. Numerous combinations of options make it timeless. We are so confident in the quality of our products that we give it a 10-year warranty. Storage solutions are easy to create, as you plan and combine our components in accordance with the individual storage location, lifestyle and financial situation. The system adapts well to your changing needs. You do not need to be an engineer to install elfa® products. It is very easy and simple! 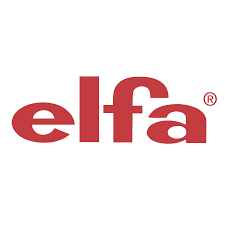 Elfa International AB (Sweden) was founded in 1947 and is the world leader in manufacturing products for creating beautiful and functional storage systems for clothes, household goods, garage storage, office supplies, sports equipment, etc. Elfa International AB is a leading manufacturer of wardrobe systems, including unique mesh baskets, shelves and sliding doors. It was Elfa International AB that developed the production technology of basket systems and shelves made of steel wire coated with epoxy paint. Any combination of the model range can be installed according to your design of a dressing room anywhere: be it a dressing room, kitchen, pantry, bedroom, nursery, laundry, garage or office. Elfa International AB has six subsidiaries in Europe (Sweden, Norway, Denmark, Finland, the Netherlands, France, Poland) and the United States. In the United States in the city of Dallas is the main office of the concern. Production is made in the city of Vastervik (Sweden). Products: mesh storage system and elfa® compartment doors for walk-in closets, cabinets and other storage systems. The engineering company Elfa was registered in Sweden on September 8, 1945 by Arne Lydmar. A happy occasion brought to the shop Lidmar young designer Nils Strinning (Nils Strinning), who was looking for an investor to translate their ideas. Thing invented by Niels Strinning and produced by Elfa in 1947, became a real bestseller. Today it is hard to believe that we are talking about a wire dryer for dishes, because, perhaps, no kitchen in the world can do without it. The sales of wire dryers went so well that in 1951 Arne Lidmar sold his business in the radio trade to a companion and focused entirely on the creation of wire products for the household. Engineers of the company carefully studied the needs of people: what they store in the house, what difficulties they have in organizing storage. The first racks with elfa® baskets were presented to customers. Inspired by the market success of shelving, Lidmar also bought an enamel painted wire shelves. Now it has become possible to complement the dressing room with a "easy hanging" shelf system. This is how a unique product appeared, which we call today "elfa® wardrobe". The product was continuously improved and supplemented, so at this stage the Elfa motto was: "Creative Storage - Creative Storage!" The principles that Elfa adheres to are simple today: study customer requirements in detail, develop and offer functional, easy-to-use solutions, do not chase cheapness - use the best materials, produce a solid, durable product. Therefore, each new product from Elfa becomes a bestseller, and sales of elfa® universal systems are growing worldwide. The Swedish concern Elfa International AB has been studying the needs of people for convenient and smart storage for more than 60 years; it develops, manufactures and improves storage management systems. elfa® is sold in 30 countries of the world and always enjoys a reputation as a profitable purchase among buyers. It is convenient for people, reliable, durable product that is a pleasure to sell and a pleasure to buy. Products are sold in furniture and specialized stores, DIY stores, building supermarkets through representative offices, independent distributors and retail chains. The company pays special attention to the development of production equipment and the introduction of innovations as the basis for maintaining and strengthening the leading competitive positions. Today, we confidently call the elfa® wardrobe systems the most advanced, thoughtful, variable, and invite you to take full advantage of this excellent product to meet the needs of customers!